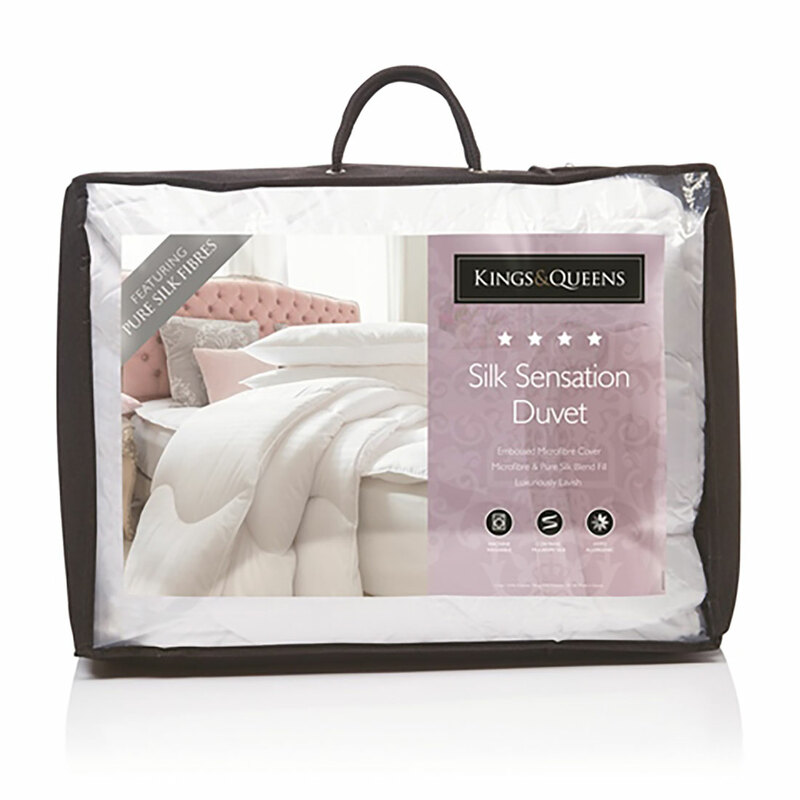 Add luxury and comfort to your home with the Silk Sensation Duvet from Kings & Queens. Comtaining real mulberry silk, it's the best way to ensure a great night's sleep. Available in Single, Double, & King sizes. Filling: 95% Microfibre & 5% Pure Silk Blend.